Enrollment for the 2018-2019 school year is now open! 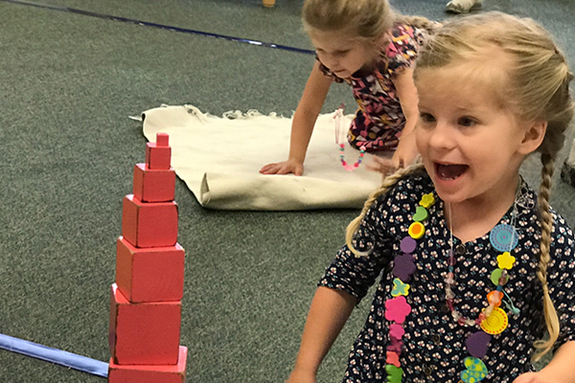 Cardinal Bernardin Early Childhood Center is having a special NPN open house at our beautiful Lincoln Park campus on Wednesday, May 30 at 9am. We will tour the school and visit classrooms where you will see our children enjoying their morning cycle and accomplishing great things! We will also show you our award-winning outdoor area and tell you about all of the exciting changes we are making for the next school year. Our Mission ... to inspire, nurture and empower children to live up to the full promise of their individual and unique talents and capabilities and to support their parents through an educational model that combines Montessori education with a Catholic environment. Our Vision ... all CBECC students launching into life as independent, compassionate, faithful and respectful young people, prepared for academic, social and emotional success and good use of their freedom with responsibility. NPN members get 50% off application fee. Click here to find out how to redeem the discount.